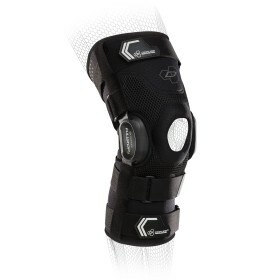 Strong and supportive off-the-shelf brace for contact sports with added ACL support via the FourcePoint Hinge. 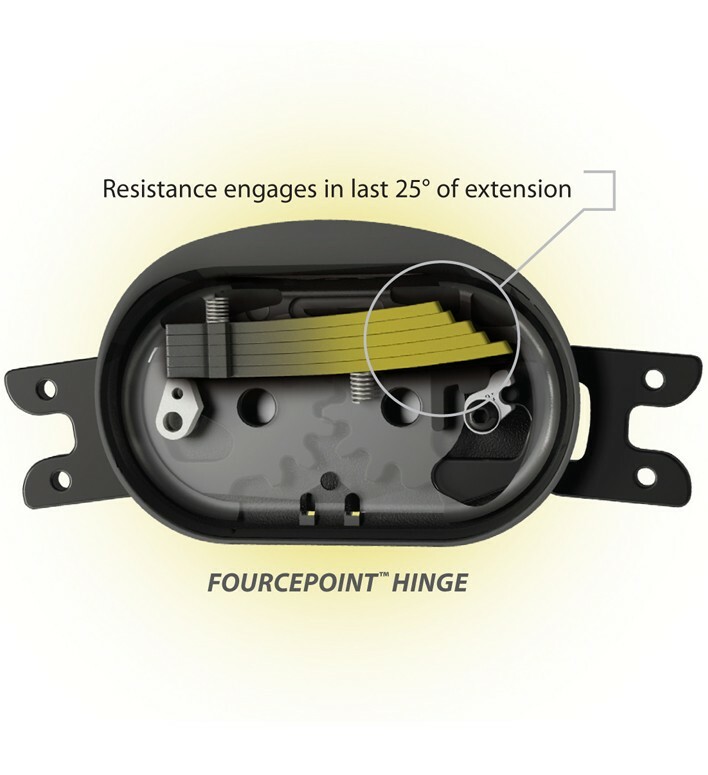 The updated Armor Knee with Fourcepoint Hinge offers a low-profile fourcepoint hinge that's flush with the frame, so it can be easily worn under your snow pants, and is light so it won't weigh you down on the slopes. 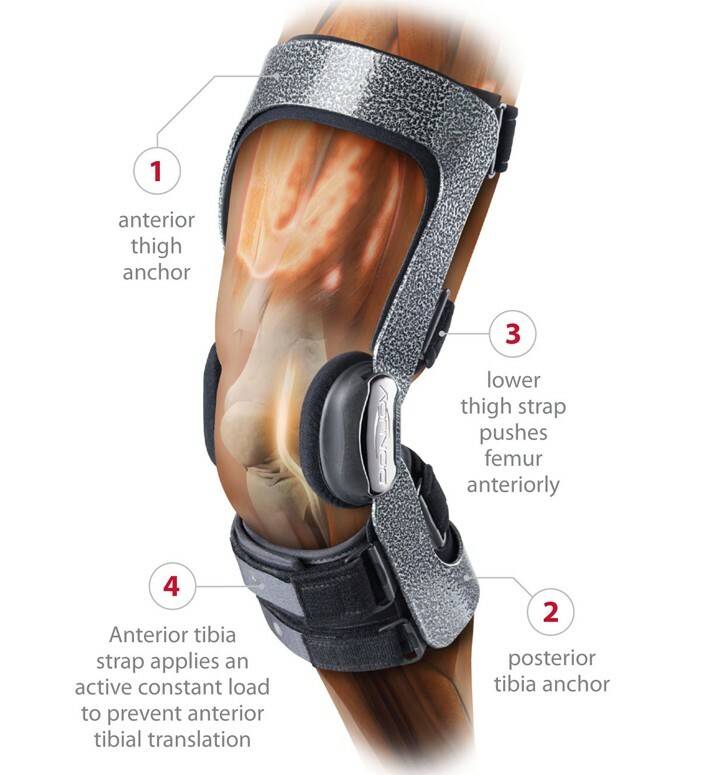 The low-profile hinge reduces the need for the deflector while still providing protection for ACL, MCL, LCL or Meniscus instabilities, which prevents the hinge from "getting hooked" with other braces or knee. Designed with internal strap tabs to reduce the risk of the tabs breaking and delivers comfort and security when in motion. The Armor Knee is available in short or standard calf sizes, so you can choose the length you need for a more customizable fit-and it won't interfere with your ski boot. Helped me play in 5 football games hurt without pain! The straps started to come undone from the stitching, but that was an easy fix. Other than that all around great brace! Held up in 5 full contact football games. I did not have any surgery on my knees but I do have these as preventative from getting injured in football. I have had many instances in which if I did not wear these, I would probably need surgery. It fits comfortable and is overall great in my opinion. If you can afford these as preventative, it is worth the buy. 2 other teammates on my team have these and they work great on them too. Cons: They slip down kinda easy but you just have to pull them back up. I destroyed my ACL about 2 years ago while skiing. I was given a rigid neoprene brace at the mountain clinic that worked just fine. No surgery so I'm using my braces as my ACL. The only problem I had with the neoprene braces was the smell/sweat and their tendency to begin to come apart over time. SO I decided to bite the bullet and get the Donjoy brace. It has preformed very well (as good as my neoprene braces which is all the praise I can give as I still have not had surgery). The mesh bag makes keeping it fresh easy and it is cooler (both physically and metaphorically) then my old braces. Had this brace for about 1 years after an ACL reconstruction surgery. Only wore it when I worked out at the gym. It's been an excellent brace and it's made me feel confident in my knee when I wear it but just concerned on the longevity of the brace. The rivets are loose and just worried if that this is normal or if it's gonna get worse to were the brace will not be good to wear anymore. Wonder if Donjoy could repair it? Hi Chris - DonJoy Armor comes with a 12 month warranty. Please check your receipt to see if you are within the warranty or contact customer service for assistance. 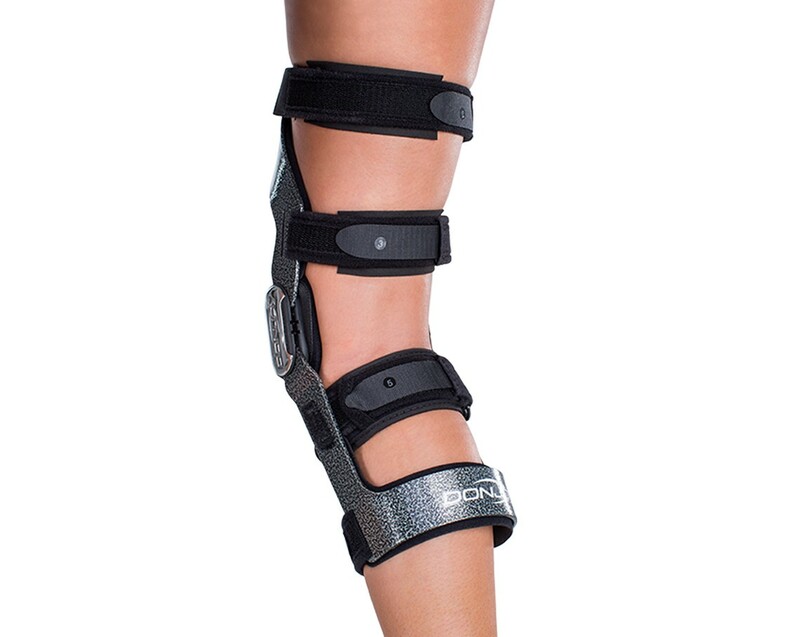 Love this brace, it gives my daughter and myself a sense of relief. Since she just started playing soccer again. Pros: Good protection, it's legal to wear on the field for both high school and club. Cons: We've already had to exchange once for defective hinges, we were told it was very durable, non breakable by our representative, my daughter fell during game and hinges broke, metal bent, and it wasn't a bad fall either. Prior to that it was squeaking badly. She needs it to play, now I'm not sure if we'll be able to replace it. This shouldnt happen considering what we paid for it and she just started to wear it 5 months ago. Wears it two to three times a week only. I'm afraid she will not be able to play anymore unless a miracle happens. The brace takes a little getting used to. Rubs and scratches a bit until you break it in. Unfortunately after only about 2 weeks usage one of the hinges now clicks when bending my knee. Very irritating. Can't figure out how to get it to stop. Pros: Very tight fitting and gives you a mental sense of comfort. Physically very stable. Cons: Scratches and rubs the skin leaving minor abrasions in several locations. After a couple weeks of usage the hinge developed a clicking which is very irritating. I'm 5 weeks post op ACL reconstruction with patellar autograft. It's been a painful journey but the post-op brace given to me did not fit and didn't offer any protection during walking. Compression sleeves and ace wraps offered no comfort or protection esp. from hyperextension. Just feels odd that im given so much activity and exercises by PT and surgeon yet im given no brace for aid. 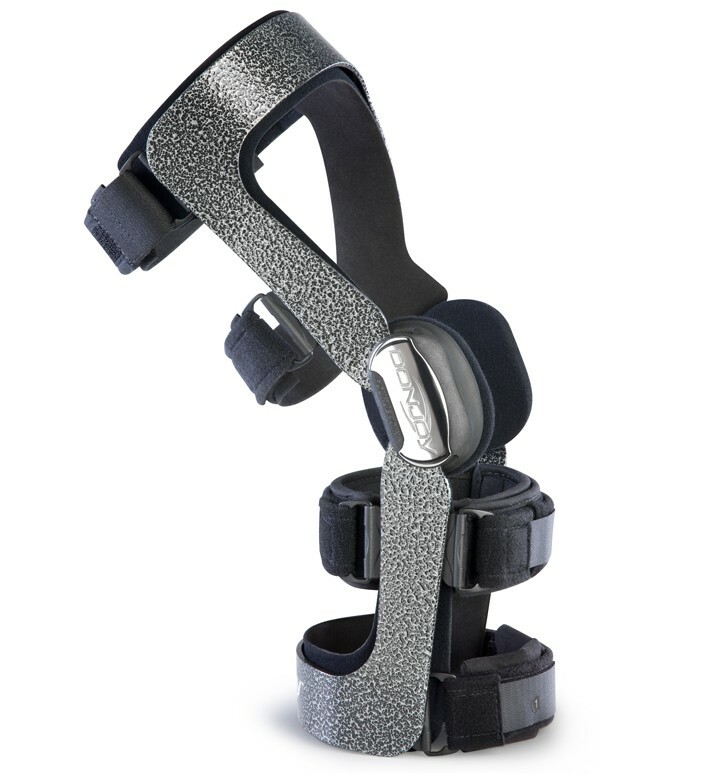 so i decided to get this brace not only for work (when i start in a few weeks) and for walking and ADLs. Sizing my leg was weird as i found that my thighs were large compared to my body size yet i measured out to a small. I went and got a small and it fit pretty snug. It was a little too tight by the supra condylar pad which i decided to adjust manually by re applying at an angle to better accommodate my condyle landmark on my affected inner knee. It worked like a charm. fits tight but like a glove. when i stand i adjust the straps and im off. wear it all day and forget about it. no more hyperextension! sports wise im not sure yet but guaranteed this thing is low profile but for contact sports it'd be a risk to others (its made of strong aluminum and plastic). i don't see this being a hindrance during activity but can definitely give stability and protection. im walking much better. no more limping during my initial steps. it helps stabilize my weak knee joint. Cons: No instructions on how tools and tension can be increased. im not even sure what factory setting this brace is set when looking at the inner hinge. I wish supra condylar pads came in different thicknesses. different thicknesses can help give a more customized fit to those who need it without having to do any major adjustments. just like different sized earbuds in that come with headphones. 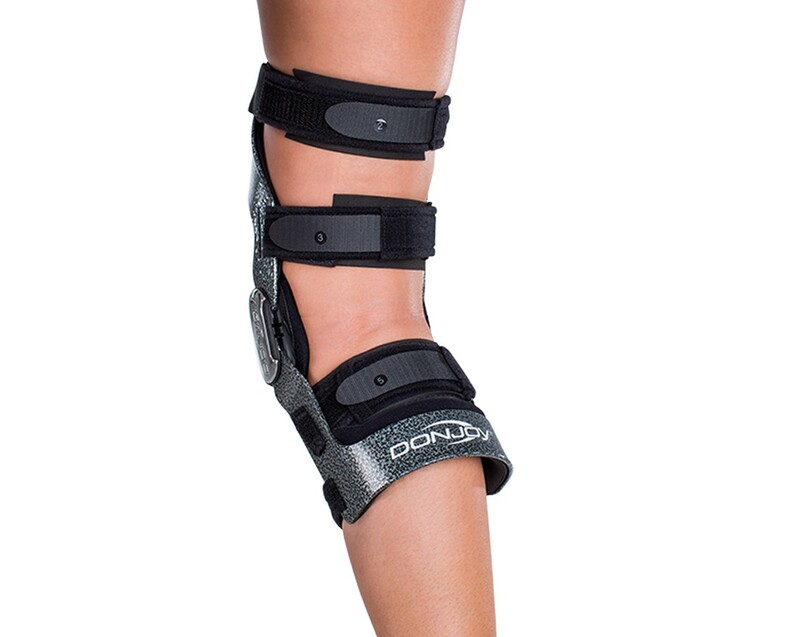 comfort is subjective, give people an easy option without having to opt for a fully customized brace would be great for the off shelf high end brace. supra condylar pads are tricky, the ridge adds additional width to the pad making it hard if the brace is snug to begin with. i'd happily spend money on extra multi sized supra condylar pads if possible. Hi Rod, thank you for your feedback. Very well built, Very well thought out, I will say if it fits your leg properly it is the best brace for the money available. From time of ordering to delivery is smoking fast! My leg must be totally different then others! The top support bracket seems to be canted a little extreme. The inner knee pad with the lump seems to put a extreme amount of pressure on my inner knee area. Just laying in bed relaxing seems to still put abrasion and pressure on inner knee area. Adjusting the straps to what I feel is proper tension to prevent unit from sliding down seems to prevent blood flow. 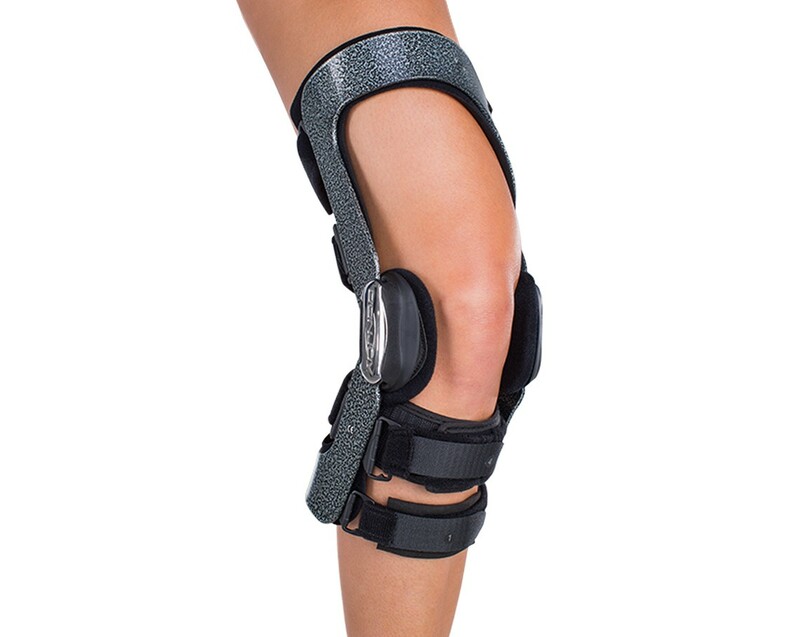 The device is very well made but the comfort is horrible for my knee configuration. I emailed you a question regarding sizing and no body ever got back with me. My calf size is medium, my thigh size is medium but my knee size is large!!! This is where the problem lies. My knee is pretty damaged. As the hinge pivots it seems to place more pressure on inner knee the more it goes to the end of its range. 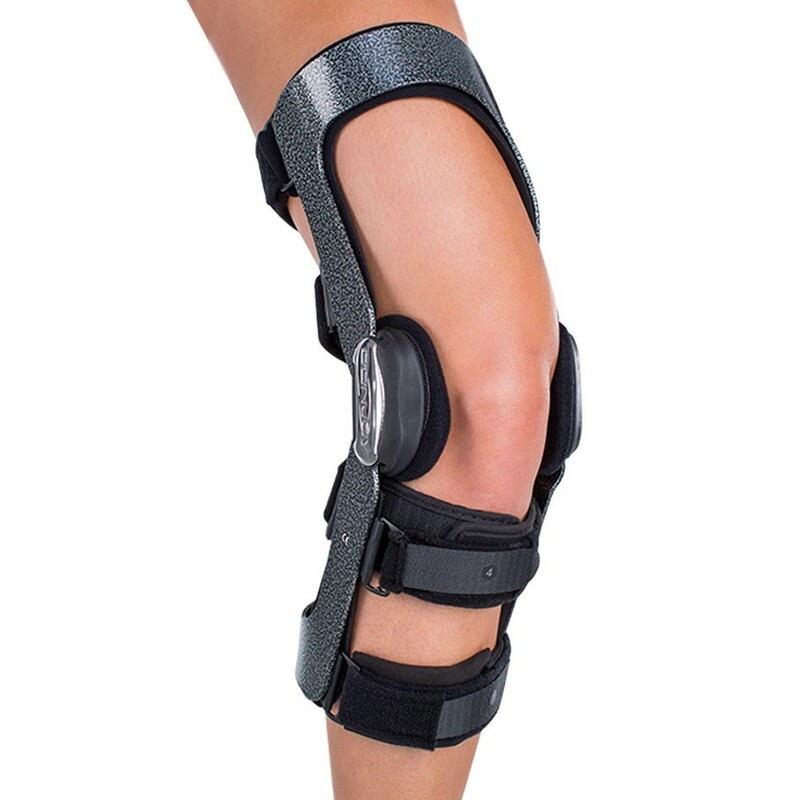 My leg is probably twisted and knee position is probably different then the normal person for your brace seem cocked to one side when installed. The top support metal part open end seems to be apply pressure to the top inner part of thigh area. Seems like if the knee area could be widened it would fit better.